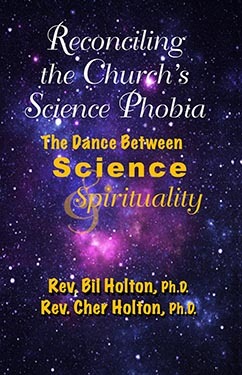 This unique book is an attempt to rectify the split between the Church and Science. By exploring a variety of concepts from both scientific and spiritual perspectives, this book clearly, articulately and genuinely demonstrates there is a symbiotic relationship between science and spirituality—there always has been! Get ready for the dance! The content in this book was reviewed and edited by our incredible Science Adviser, Eric Donaldson, Ph.D..
$17.95 Available in digital (PDF) format and soft cover book. Bookstore discounts available.